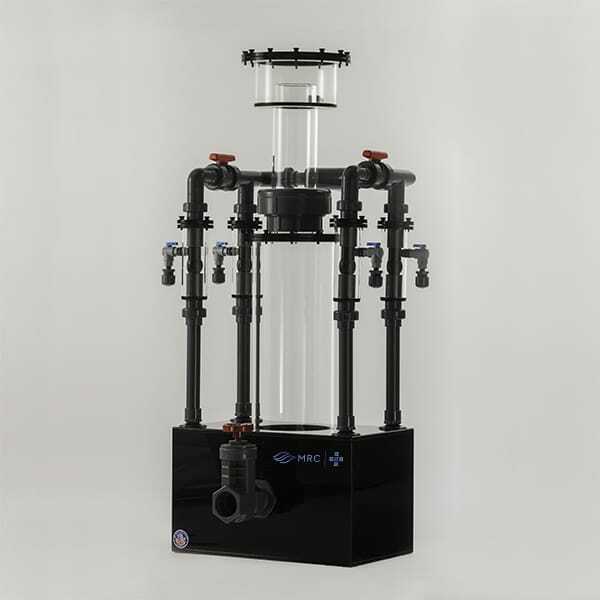 MRC®’s Quad-Beckett-injection commercial protein skimmers are workhorses for public aquariums and livestock dealers. Easy installation and powerful performance; it doesn’t get much better than this. 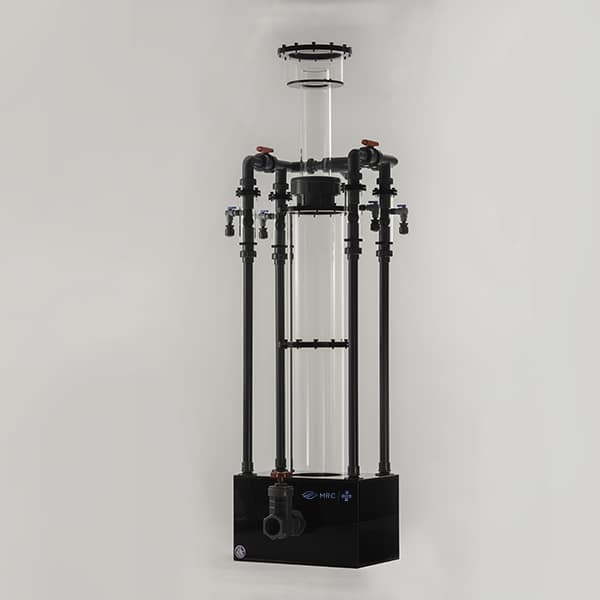 From 3,00 gallons to 8,500 gallons, the +Series Commercial skimmers are ready for just about any system you could possibly throw at them. All +Series Commercial skimmers are precision fabricated to the highest tolerances and hydro tested at the factory. We like things to be right and right the first time . We’re obsessed with the details at MRC®. Our demand for quality is so high, we even have our own custom thumbscrews made: precision threaded, food grade, and 100% American made. 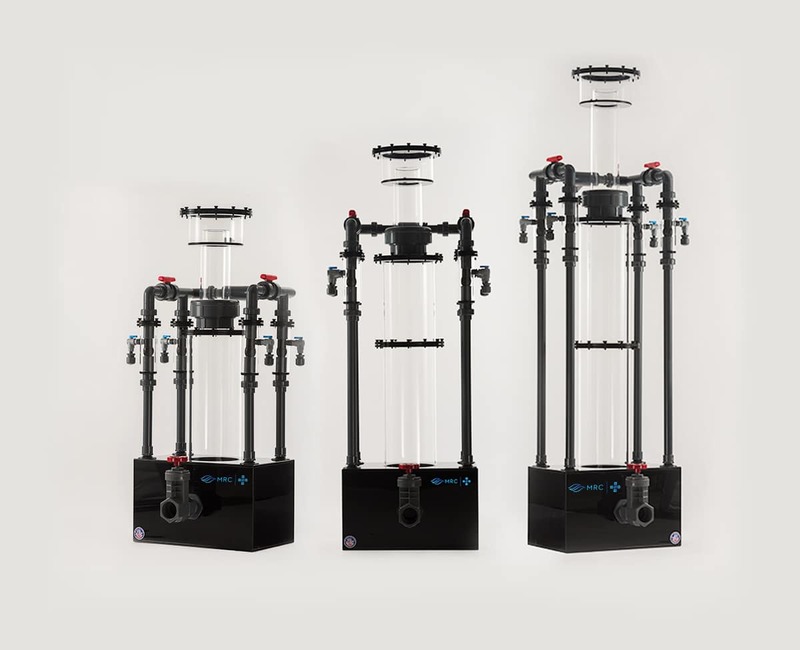 The main theory behind creating a successful protein skimmer is to maximize the exposure of air to water. The most effective way to do this is to have as many bubbles, as small as can be produced, in exposure to as much water as feasible. Organics have a very specific structure which makes them polar (meaning one end is very different from the other). As it turns out, one end is also very “hydrophobic,” meaning it is repelled by water, and attracted to air. Using this biochemical feature, we can apply air to the water and attract these objects. Using the same principle as lathery soap, the bubbles will attract, strip the organics, and when they rise to the collection cup, remove them. The water will continue to pass through, with the bubble attracted organics being lifted and stripped from the water. MRC®’s Beckett-injection is well regarded for its fractionation prowess. Now imagine four injector assemblies. This might just be the public aquariums’ most well kept secret. 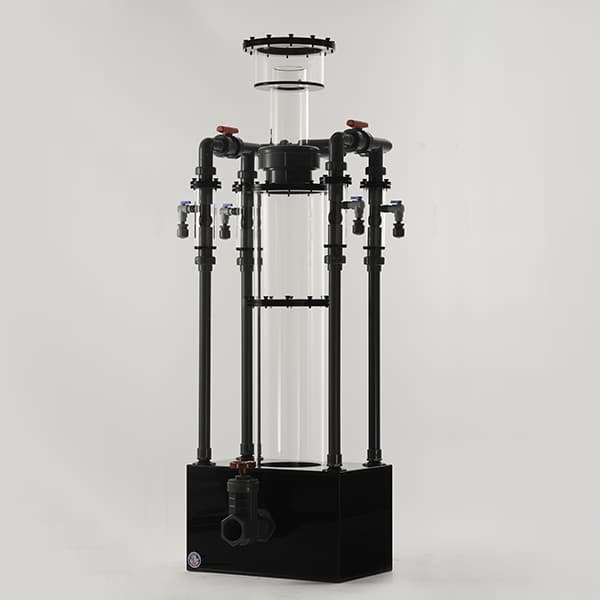 +Series Commercial Protein Skimmers provide the perfect balance of power and budget. 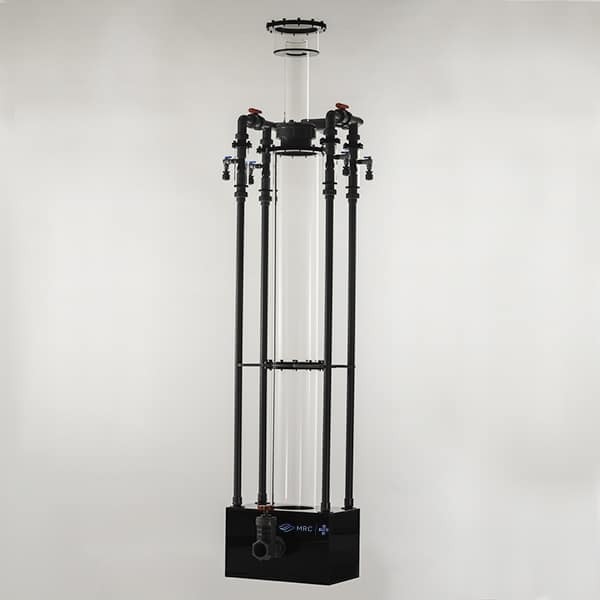 Utilizing four injector assemblies and longer dwell times, high bio-load and commercial systems are no match. Utilized by professional aquarists and organizations worldwide. Purchase your Commercial Skimmer from an authorized MRC® retailer today.